These days it seems like there’s an awareness month for everything. 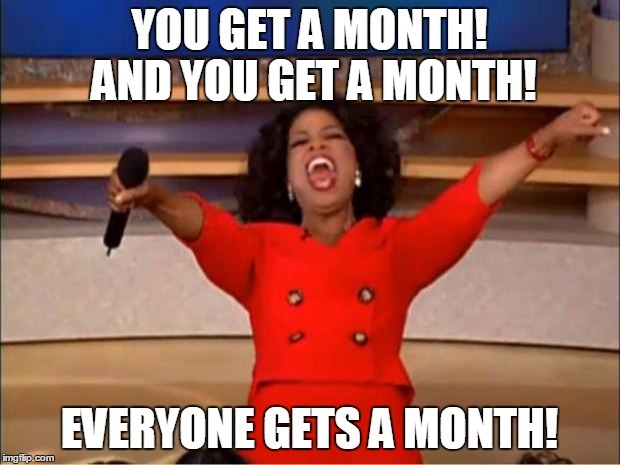 Sometimes I imagine Oprah handing out months like she did cars: “YOU get a month! And YOU get a month! EVERYONE gets a month!” (The audience, predictably, goes nuts.) August is Spinal Muscular Atrophy (SMA) Awareness Month (as well as Cataract Awareness Month, Children’s Eye Health and Safety Month and National Immunization Awareness Month, along with many others), and as someone living with SMA, I’m more aware than most what the disease entails. So in the spirit of creating more awareness, I’ve decided to debunk some myths about my disease. Myth 1: People with SMA never walk. Personally, I never walked. In fact, I barely crawled. My mom tells me that she once watched me crawl from one end of a room to the next, but it took me two hours and when I finished I collapsed from being so fatigued. But that was my experience. And everybody who has this disease has their own story. Many people with SMA do walk for a period of their life before choosing to use a wheelchair to get around. I have several friends with SMA type 3 who walked until they were close to the age of 10. So while some people never walk, like me, others can and do. Myth 2: SMA is muscular dystrophy. A lot of times SMA seems to get lumped into the same group as muscular dystrophy. However, it’s actually a motor neuron disease or neuromuscular disease. And while it does cause effects similar to muscular dystrophy, it is not one. Oftentimes when I meet someone new I tell them I have muscular dystrophy because it’s the most common form of neuromuscular disease that people know. 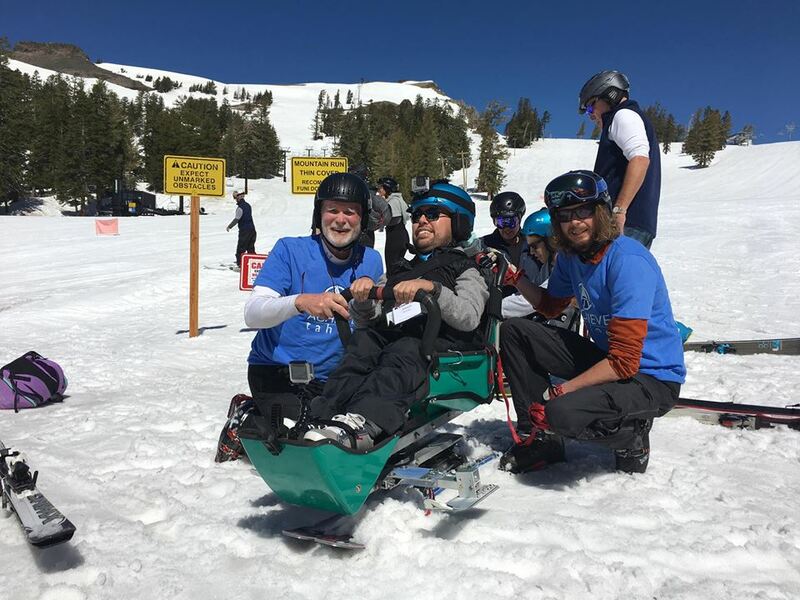 But this practice is almost taboo within the neuromuscular disease community. What I should really say is “I have spinal muscular atrophy, a motor neuron disease similar to muscular dystrophy.” I think it’s time to practice what I preach. Myth 3: People with SMA are also paralyzed. SMA does not cause paralysis in the same sense a spinal injury does. I can move every part of my body — to some extent. I can wiggle my toes and legs, move my fingers and even roll my eyes. I won’t kid you by saying that I do these things well. Except for rolling my eyes. That seems to be my specialty. I’ve been told I started rolled my eyes before I could speak. Shocker, right? However, as the disease progresses, your muscles become weaker – making it extremely difficult to move parts of your body. But people with SMA have total sensation and feeling. To be honest, I feel like I am hypersensitive to touch. We in the SMA community often joke that the story about the Princess and the Pea is about us because we can feel every little thing on our body. For instance, I feel every wrinkle of my bed sheets and every drop of water left on me after a shower. Sometimes it’s daunting how much I can feel. 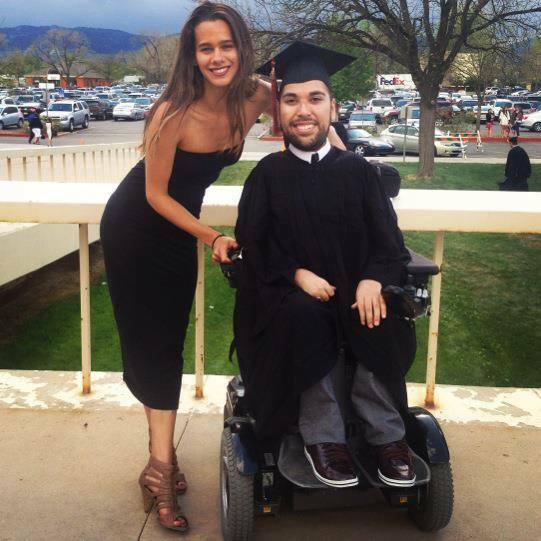 People with SMA can’t date, marry or be intimate with others. Wrong! Wrong! Wrong! Having SMA does not affect one’s ability to be intimate with another person. While I won’t fill you in on the details of my experiences, I will say that all it takes is a little creativity and open-mindedness. Intimacy for someone who has SMA or who uses a wheelchair might look a little different than it does for someone who is able-bodied, but it’s nonetheless possible and enjoyable. In this respect, people who live with SMA are no different than anyone else: we feel lust, we fall in love, we have our hearts broken, we swipe right, we swipe left and we keep going. SMA doesn’t atrophy our emotions, nor does it affect the parts of our bodies that we use to experience intimacy. So, yes, our love lives can be just as fulfilling, tumultuous and exciting as anyone’s. Myth 5: People with SMA can’t do much for themselves. Au contraire, my friend. 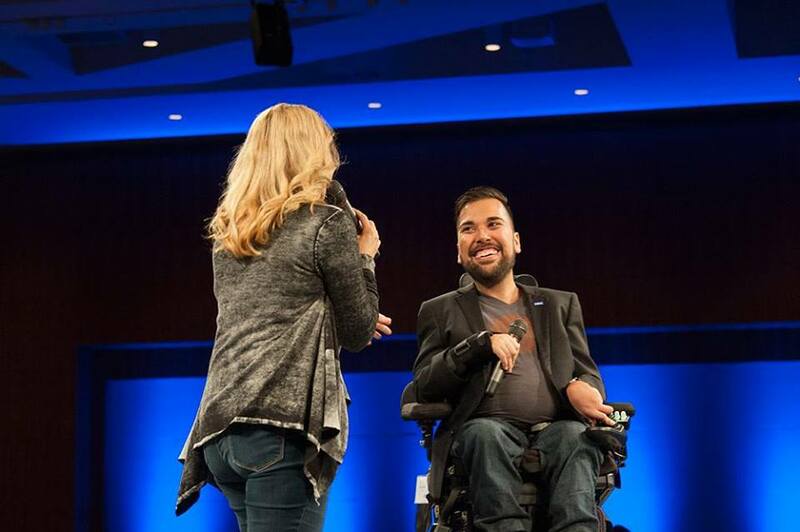 I am living proof that someone with SMA can be independent – and I’m not alone. Yes, I need a lot of help. But that doesn’t mean that I can’t do anything. I, like many others in the SMA community, work, have graduated from college, live on my own, can feed myself and brush my teeth. Oh, and I can delegate like it’s nobody’s business. It’s my belief that just because someone needs help to do certain things that does not mean that they are incapable. Hey, I needed help to jump out of a plane but, by golly, I sure did it and so have others. I needed help to climb the mountain two weeks ago. But guess what? With the help of several friends, I climbed a mountain! I guess you could say, I get by with a little help from my friends. The best advice I can give someone who doesn’t know much about SMA is to just ask. Asking someone about their disease isn’t rude. It’s how you ask that can be discourteous. I’m of the belief that no question is dumb, but it is dumb to assume things you’re ignorant about. Please don’t assume that I, or anyone else with SMA, can’t do something. Once you start asking, I think you’ll be surprised at how much someone with this disease can accomplish. Help kids and adults like Joe continue to live longer and grow stronger.